Guttate psoriasis is the second most common type of psoriasis, after plaque psoriasis: 10% of people with psoriasis suffer from guttate psoriasis. Usually, children or young adults get guttate psoriasis. It is often triggered by respiratory or streptococcal infections. It is characterized by small red separate spots mainly on arms, legs, stomach or chest. We will send one newsletter per month. We will provide updates and marketing information. Your email address will not be shared with our partners. 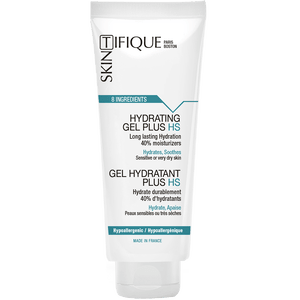 A limited number of ingredients: Skintifique products have extremely safe and pure compositions, with a limited number of ingredients to minimize the risks of unwanted skin reaction. The Psoriasis pack contains only 8 ingredients. Each ingredient has been carefully selected for its safety profile. All our products are hypoallergenic and tolerance tested. 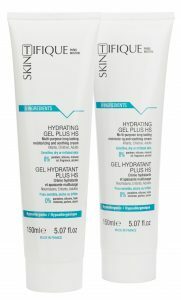 Natural ingredients: The Psoriasis pack includes 2 tubes of Hydrating Gel Plus HS. This product contains 98.9% natural ingredients. Cruelty-free (no animal testing): our products are eco-friendly and vegan. They are not tested on animals. For all skin types, even the most sensitive: suitable for babies, children, and adults. The Activifique technology enables a controlled and gradual release of the active ingredients. When the skin requires moisturizing, eg because it is dry or inflamed, it sends signals to the delivery system containing the active ingredients, which then releases the ingredients. And so the skin’s physiological needs are met instantly and long-lastingly. Guttate psoriasis is the second most common type of psoriasis (after plaque psoriasis). 10% of people with psoriasis have this type. It usually starts in childhood or young adulthood. It is often triggered by respiratory infections or streptococcal infections. Guttate psoriasis is characterized by small, red separate spots mainly on arms, legs, stomach and chest. Topical creams are the preferred treatment. Phototherapy seems also to be effective. Only for severe cases, doctors may prescribe systemic medication. 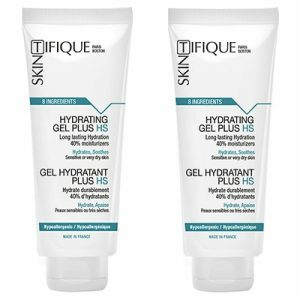 Nevertheless, it is essential for people affected with guttate psoriasis to moisturize and soothe the skin both during and between breakouts (maintenance). The Psoriasis pack can be used as a companion care by anyone with psoriasis.